Word Meanings of the story "The Last Voyage of the Ghost Ship". "The Last Voyage of the Ghost Ship" was written by Gabriel Garcia Marquez. Gabriel García Márquez, (born March 6, 1927, Aracataca, Colombia—died April 17, 2014, Mexico City, Mexico), Colombian novelist and one of the greatest writers of the 20th century, who was awarded the Nobel Prize for Literature in 1982, mostly for his masterpiece Cien años de soledad (1967; One Hundred Years of Solitude). He was the fourth Latin American to be so honoured, having been preceded by Chilean poets Gabriela Mistral in 1945 and Pablo Neruda in 1971 and by Guatemalan novelist Miguel Ángel Asturias in 1967. With Jorge Luis Borges, García Márquez is the best-known Latin American writer in history. In addition to his masterly approach to the novel, he was a superb crafter of short stories and an accomplished journalist. 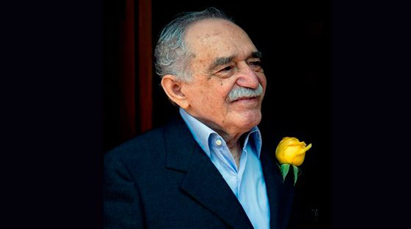 In both his shorter and longer fictions, García Márquez achieved the rare feat of being accessible to the common reader while satisfying the most demanding of sophisticated critics. The Last Voyage of the Ghost Ship is a story of magic realism by a Colombian novelist Gabriel Garcia Marquez. The writer has used magic and reality with the stream of consciousness technique in the story. The fragmented thoughts, feelings, and emotions are expressed on real and fictitious ground in the story. This describes the growth of an ordinary boy to an assertive young man through his observation and experience. 0 Response to "The Last Voyage Of The Ghost Ship | Word Meanings in Nepali"